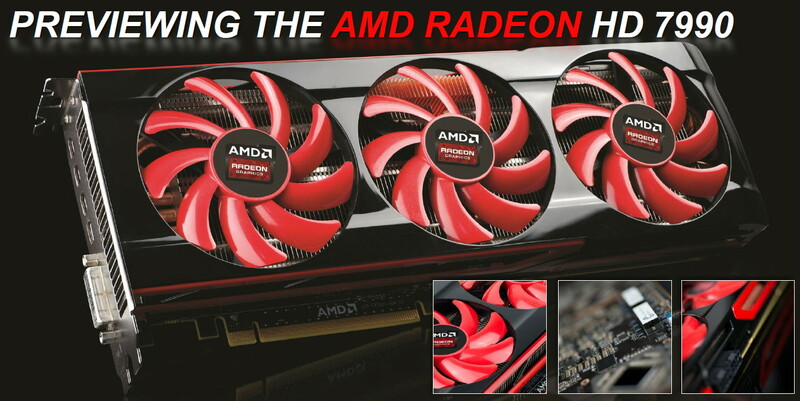 At GDC 2013, AMD has unveiled their latest and upcoming Radeon HD 7990 GPU which is built of the GCN architecture. AMD did not went into specifics of the GPU but it has been known for a while that the Radeon HD 7990 from AMD would be codenamed Malta and feature Dual Tahiti GPU cores clocked around 1000 – 1100 MHz and would feature a 6 GB (3 GB per GPU) VRAM running across a 384 bit x2 interface. You may notice how AMD has labeled the slide as a preview of the upcoming product which means that its launch (previously reported around Q2 2013) might not be far away. AMD is also said to be preparing a new tech demo based on CryEngine 3 which would be showcased on the Radeon HD 7990 launch. 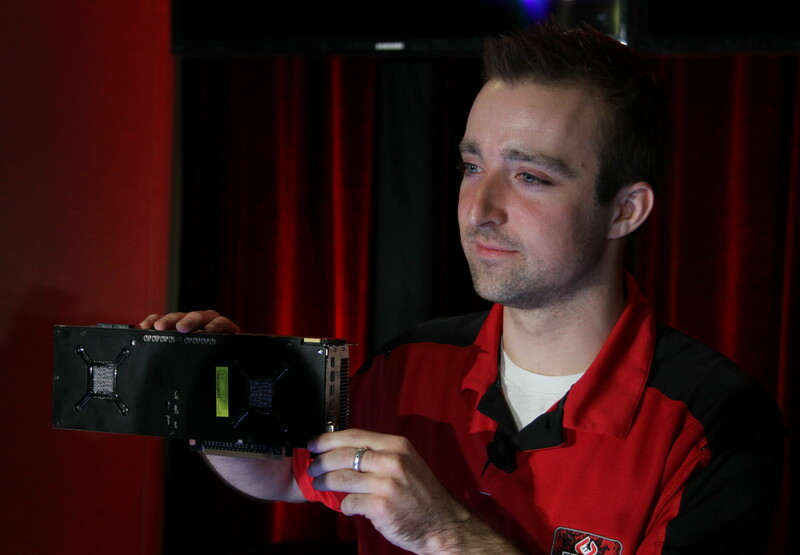 The card is powered through dual 8-Pin connectors which puts the power draw to around 375W and comes with an impressive three fan cooling design in the much awesome red and black color theme of AMD Radeon GPUs. Display connectivity on the Radeon HD 7990 include five Mini Display and a single DVI connector. It is expected to launch in Q2 at a price almost around the $1000 mark. According to the information, AMD’s supposedly upcoming Radeon HD 7990 GPU would be codenamed “Malta” (Previously codenamed New Zealand) and would possibly feature dual Tahiti XT cores however the source wasn’t able to confirm that. 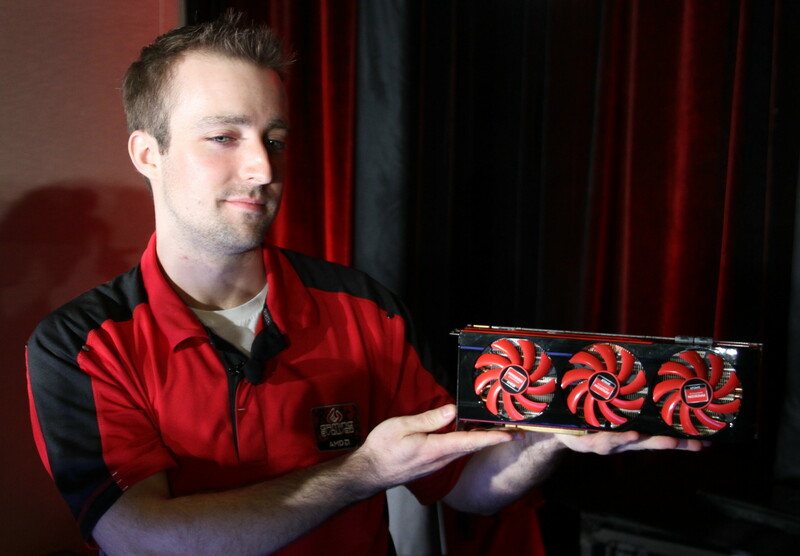 Nevertheless, the Dual cores allocated to the Radeon HD 7990 would operate at an frequency beyond 1 GHz. Currently, the fastest Radeon HD 7990 solution from ASUS codenamed “ARES II” is clocked at 1050 MHz stock and 1150 MHz Boost so AMD would be looking to topple that with their own Malta Radeon HD 7990 GPU. AMD had already confirmed that since their new HD 8000 cards launch in fourth quarter (2013), they would launch more products in their current Radeon HD 7000 series lineup. Possible new variants have been detailed here.